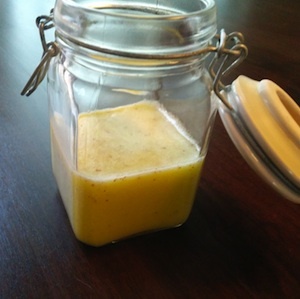 This is a quick and easy tangy salad dressing is very versatile. You will never buy store bought again. Place all ingredients in a bowl and whisk well. If you have an electric whisk even better.